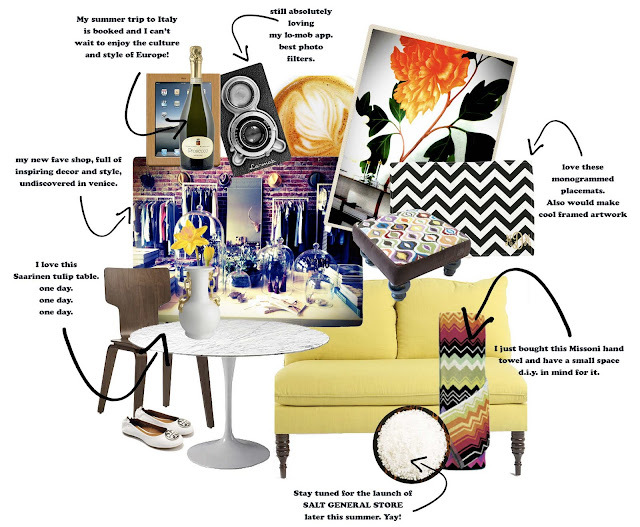 I was e-flipping through my blog and found my digital snapshot that I created last summer of items and style that I was loving at the time. I am still loving all these things and was inspired to add another digital snapshot. Here are 15 items, things, places and happenings that are currently making me smile everyday. And click here to check out digital snapshot no. 1. Love the missoni towels and the monogram placemats !! Love all your picks! That Missoni towel is awesome!